Havencrown Marquee Cleaning Machines will be heading to Showman’s Show this October with its marquee washer dryer system. Expertly combining advanced cleaning performance with compact dimensions, visitors to the Havencrown stand will discover just how straightforward and reliable their machines are. 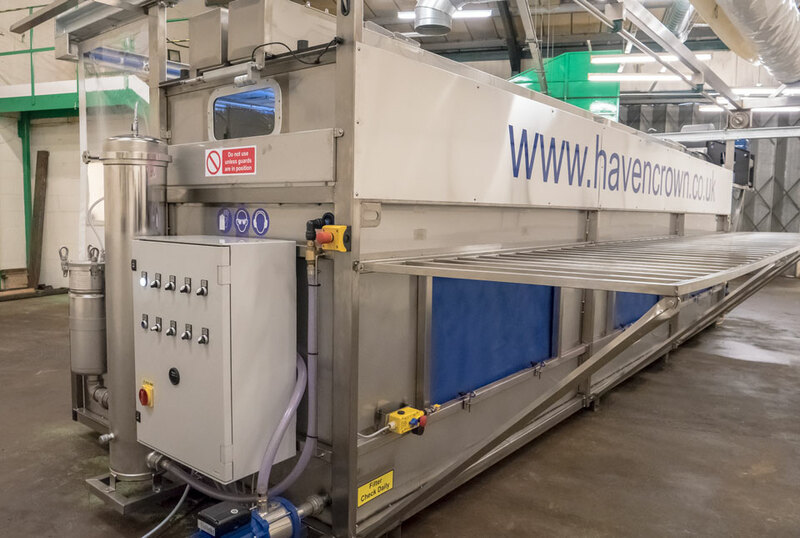 This year Havencrown will be showcasing its highly versatile 6m machine, which can wash 6m, 5m and 2 x 3m covers. Designed specifically with achieving pristinely clean marquees in mind, the 6m machine is a sure-fire way to ensure the rigorous standards of the industry are not only met but exceeded! With all machines being built to order at Havencrown’s workshops, the Showman’s Show represents a rare opportunity to see a full working machine and witness the results up-close at Havencrown’s stand. Visitors will also have their own dedicated area, as well as refreshments and treats. As always, you can expect Havencrown’s highly experienced, friendly and knowledgeable team to be on hand to answer any questions.